Those who know me, know too well that I simply love Hawaii. When my job takes me to that side of the planet I alwasy try to sneak in 3 or 4 days to go back to one of the most magic places on earth. 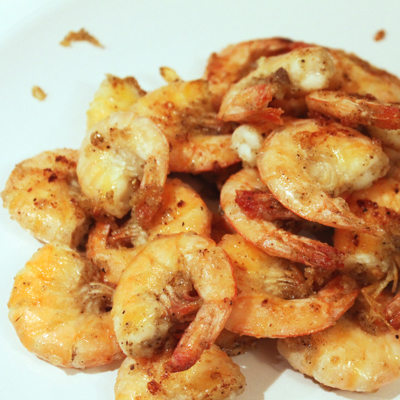 This recipe comes from my beloved Hawaii, Oahu North Shore. It is a very simple street-food, served two steps from the shoreline (magic picture: isn’t it?). I suggest you eat them with your hande. Yes, feeling ashamed is possible, but trust me, if you follow my recipe, you will love them even more! 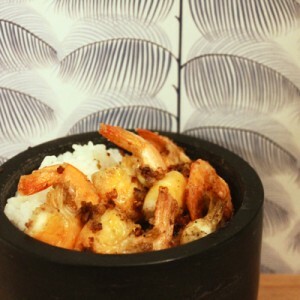 Soak the rice and wahs it with running water for 3 or 4 times (until the water is clear). Put i tinto a casserole, add the water and bring to a boil. 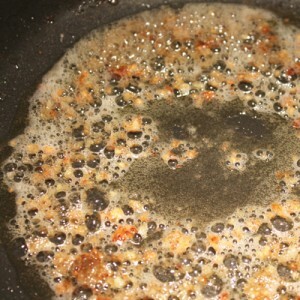 When it boils, cover with a lid and reduce the heat to minimum, cook for 3 / 4 of time of direction. 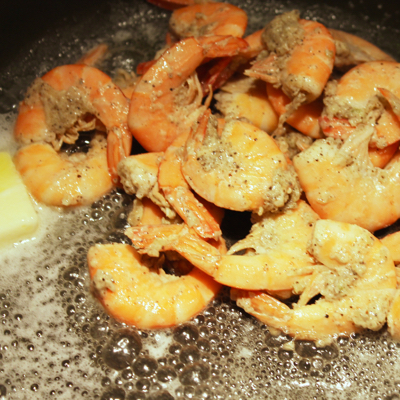 Dry the shrimps with a clean cloth. 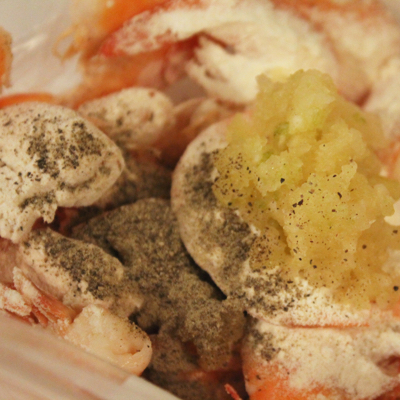 Put them into a container and mix them well with all ingredients (excluding the butter). Set aside and marinate for 20 minutes. Heat the butter in a pan at high heat. 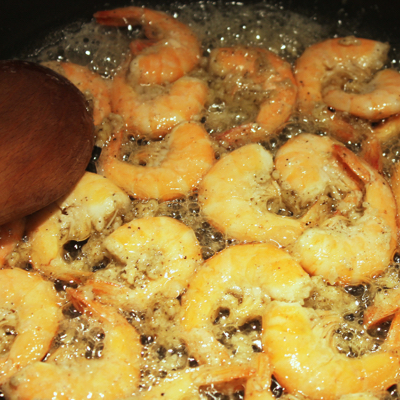 When melted add the shrimps, and stir fry them for 3 or 4 minutes. 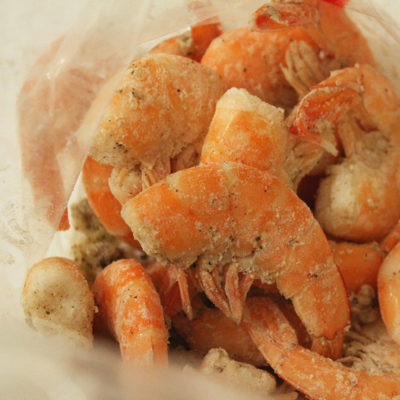 Retain the shrimps (and set aside). 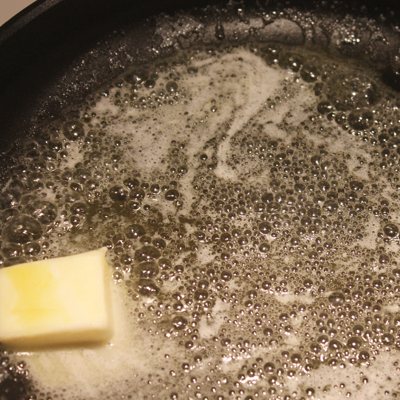 Continue instead frying the sauce for further 7/8 minutes or until the garlic gets golden. Put shrimps back, season with salt if necessary and serve with the steamed rice.